TIP: Do you tufting before you staple. If you staple the fabric first, your tufting may look too tight. We wanted nice deep tufts so we did not want to pull the fabric tight until the veryend! 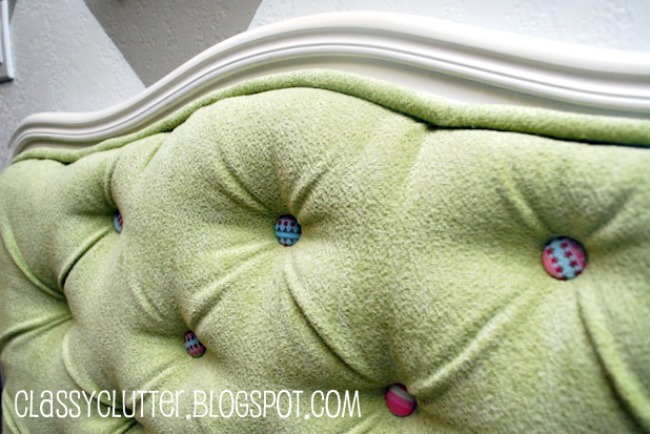 Love the color – love the tufting – and those buttons are just the perfect whimsical touch – beautiful makeover ! Thanks for stopping by, Suzan!